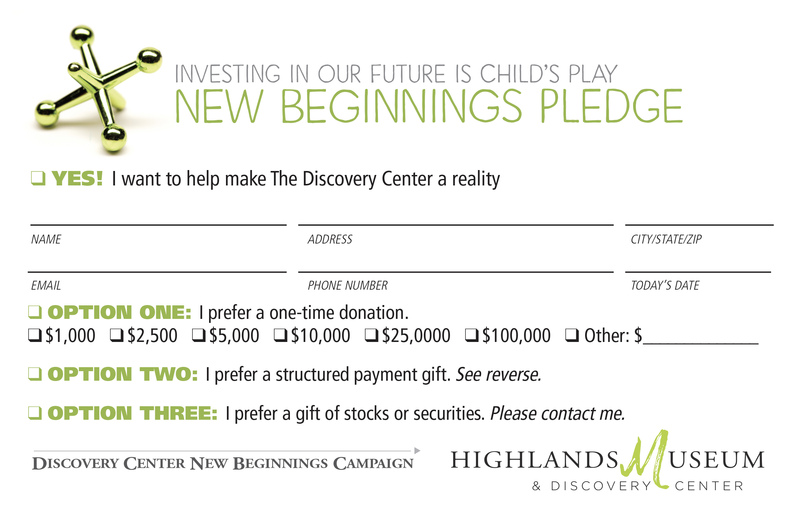 The Highlands Museum & Discovery Center believes the power of play is too vital to ignore in the learning process. That’s why our community, along with a determined Board of Trustees, is launching our campaign for the all-new Clark Family Discovery Center on our 2nd floor. When you visit the The Clark Family Discovery Center, you can hop on the Blue Ribbon Bus; stroll through the city and visit the grocery store or bank; enjoy a lesson on physics at the Energy Zone; and learn about the many strange behaviors of our four-legged furry friends at the local Veterinarian Office. the children of Ashland and the surrounding region. Join us in making an the all-new Clark Family Discovery Center a reality for the children of Ashland and the surrounding region. 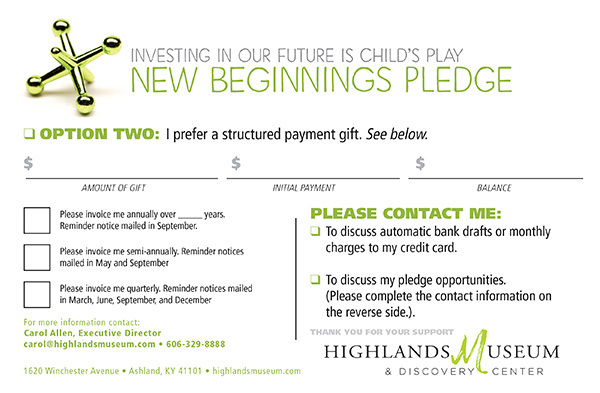 Make a secure online donation now, or to find out more about investment opportunities, call the museum at (606) 329-8888.
located at 1620 Winchester Avenue in Ashland, KY. 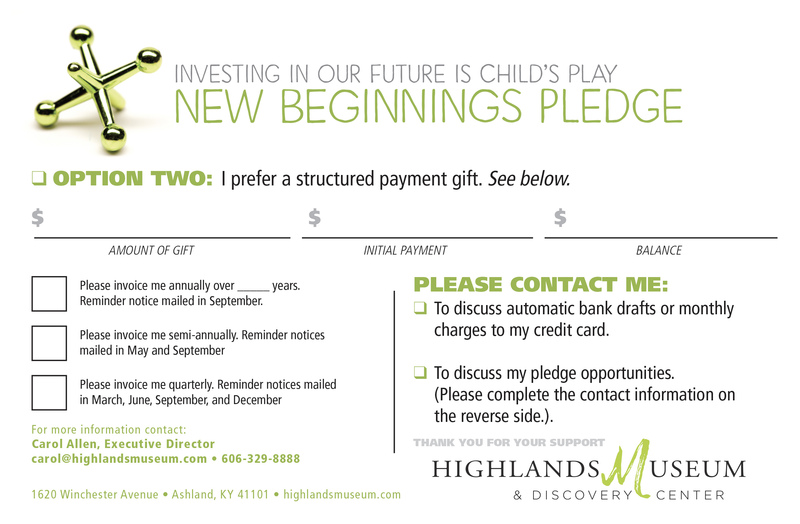 The Highlands Museum & Discovery Center is a 501© (3) regional history and children’s museum located at 1620 Winchester Avenue in Ashland, KY.